Priyamvatha is a journalist with more than eight years of experience. She is presently working as special correspondent in the Tamil Nadu bureau of TV Today network comprising of Headlines Today and Aaj Tak news channels. She has done many ground reports and investigative stories. 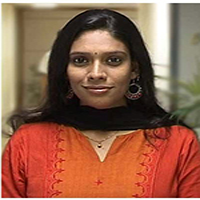 Priyamvatha also has a vast experience in political , human rights, investigative and social welfare reporting. She has done reporting during challenging circumstances. Recently, Priyamvatha did an undercover operation to find out the truth about the war crimes in Sri Lanka. Risking her life, Priyamvatha traveled to war affected regions of Sri Lanka. The documentary `I witnessed genocide in Lanka’s Killing fields’ aired on the 9 August 2011 and captured the world’s attention. Priyamvatha became the first journalist in the world to report about the war crime in Sri Lanka in an unbiased manner. This documentary won her the coveted News Television Award and two Exchange for News Broadcasting award this year for best investigative report and best international reporting respectively. In the last one year, Priyamvatha has done few major stories and covered the assembly elections. From interviewing major leaders to bringing out specials on current topics of interest, Priyamvatha’s field of coverage is extensive. Priyamvatha has a keen interest to learn more and is passionate about journalism. Priyamvatha is interested in reading books, music, painting, writing , movies and fitness.